The weather may go up and down, but Killington still has plenty of snow. The hallmark of weather in New England is that if you don't like it, wait a minute. That has truly been the case at Killington this winter season. Base depths in Killington have been effected by the warm temperatures of the last several weeks. When the temperatures dropped late last week, snow making operations began once again to refresh the mountain for skiers and riders. Mother Nature even cooperated with a couple of inches of snow to make everything white again. And March is right around the corner. Historically, March is the snowiest month of the year, with an average snowfall at the Resort of 57 inches on Killington Peak. 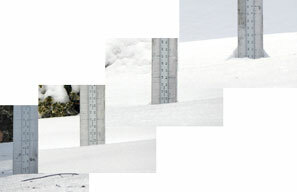 Will we get our normal snowfall this year... realistically there is now way to really know. However, if the weather forecasters have their say, it does look like we are in for an interesting weather pattern shift over the next week with the potential for large coastal storms to develop along the east coast. Exactly the types of storms that make March the snowiest month of the year. It has been a wild January. At Killington, we have seen temperature swings approaching 90 degrees in a 48 hour window. Early in the month the area more resembled the North Pole with night time temperatures approaching 30 below zero F. During that period it was so cold that it was basically snowing all the time, as the cold temperatures were squeezing every last drop of moisture out of the atmosphere. Lately, we have seen more of a temperature yo-yo. Some days it seems like Killington is actually near Atlanta Georgia with temperatures aproaching 50 F. Other days it is back down in the deep freeze with daytime temperatures in the single digits and night time temperatures approaching -10F. We did get unlucky during one of the warm spells and caught a r@!n storm which stripped away a foot of natural snow around the inn (and on the mountain). But that storm was followed by several very cold days, solidifying the remaining base to create a very resilient surface for the resort to work with. And work they have. A combination of items have allowed the Killington Resort to continue to improve overall conditions. First and foremost, the base that they built during the period around the World Cup races in late November is exceptionally deep. In addition to their past efforts, as todays pictures witness, the resort is not sitting idle. Snow making has continued around the clock when weather condition have allowed. Virtually every trail with snow making on it (meaning basically every trail) has experienced a surface refresh over the last week. Last weekend, we witnessed huge snowmaking efforts on all of the black and double black diamond terrain. This week we are seeing it across the resort, with renewed efforts along blue and green trails. While I can not say it is part of the resort's strategy, as we are not involved in it, I can say what we have witnessed. And the snow making team is working hard. This week we have been out on the mountain several days, as is normal. Many days this season have been difficult picture days, due to weather conditions. From camera freeze-ups on below zero days to heavy fog on above freezing days, taking pictures this year has been interesting. That being said, the conditions we have been experiencing overall are a testament to the hard work of the resort team. Yesterday, for instance, we took a top to bottom run down Skylark. By all rights, we were expecting to be skating down lower Skylark, which we have done many times in the past. What we found was a firm but well groomed surface. Because of all of the World Cup snowmaking, the resort was able to allow the grooming machings to go deep to break up the hard pack surface created by earlier week above freezing conditions. Words do not properly explain it, but overall the surface was impressive. If you are coming to Killington this weekend, you should find well groomed ski surfaces with moderating temperatures. It looks like the storm the Weather Channel has been busy hyping all week will go to the south of us, leaving us in sunshine and mild temperatures most of the weekend. Snow showers are predicted to follow on Monday, but then again that is a Weather Channel prediction. Wherever you may be.... Think Snow! Join us at the Birch Ridge Inn this evening as we sample Jack Daniel's newest spirit available in Vermont : Jack Daniel's Tennessee Rye. Introduced nationwide at the end of 2017, the spirit has has made it through the Vermont State Liqour system. The first case was delivered late yesterday to our local state store. With a long history of working with the folks at Jack Daniels, we wound up with one of the first bottles in our posession early this morning. Caitlin from Horizon Beverage will be on hand tonight as we crack open the bottle for sampling. Merisa will be behind the bar mixing up her signature cocktails to go with the new Rye. 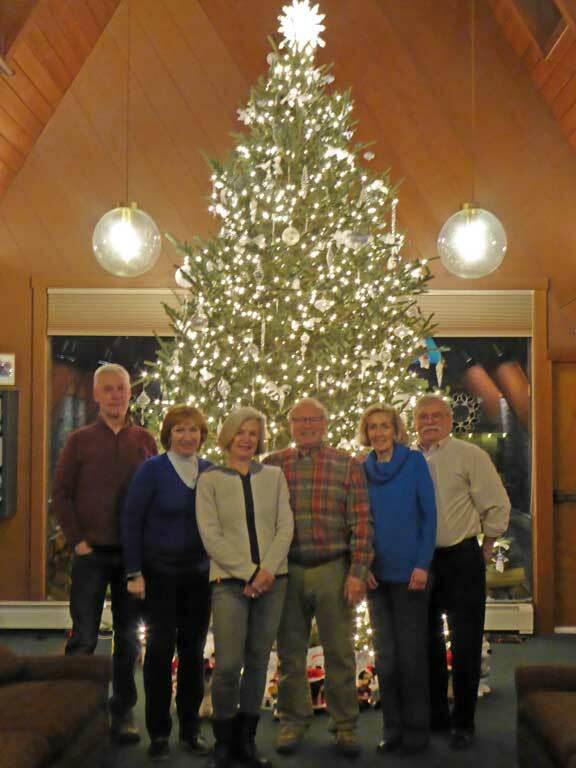 The holiday season is upon us in earnest in Killington. Guests from all over the world are streaming into the area to celebrate the end of the year holidays. Several heavy snow storms in the last couple of days have preceded the guests, assuring that the slopes of Killington will be 100% open for the holiday season. 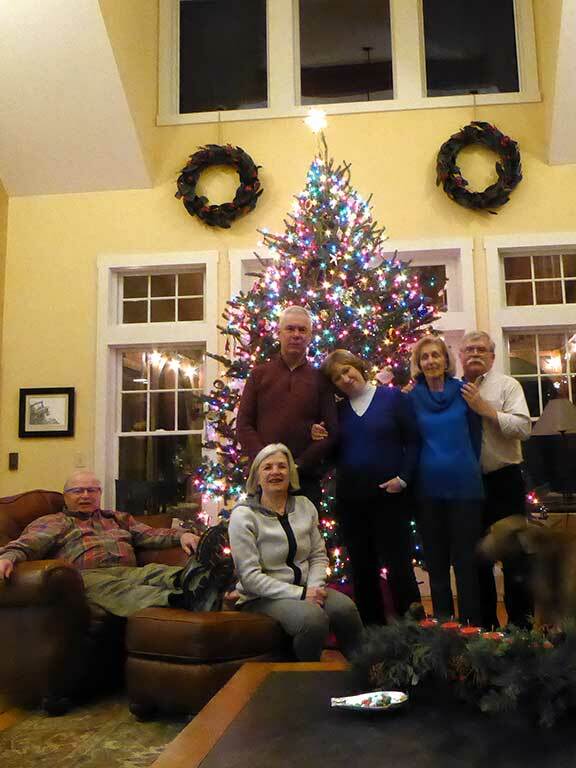 In addition to skiing and riding at Killington, the holidays are also about family and friends. 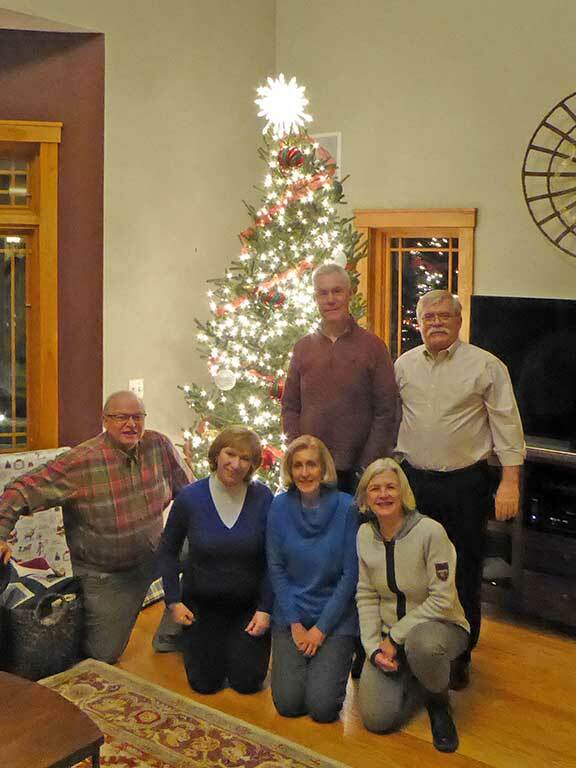 For many years, we have celebrated the holidays by getting our friends together to cut down and decorate Christmas trees, both at the inn, at in several of our neighbors homes in the area. These are just a few for you to enjoy this holiday season. To all of our family, friends, and guests, we hope that your holiday season brings you great joy and that you enter the new year with health and happiness.